Comment: Our finished attic gets incredibly warm on sunny days, year-round, regardless of season. We suspect that when the house was remodeled and the attic finished, little to no insulation was added. We would like someone to assess and insulate, as appropriate without having to destroy the finished space. Comment: We purchased a home on a busier street, and would like to explore ways to significantly reduce vehicle noise inside the home, especially bedrooms and living room. We think the noise is mainly entering through the windows. Comment: We just purchased a single-family home on a busier street (35 mph speed limit). We are interested in exploring options to significantly reduce the sound of vehicles passing on the road. We suspect that soundproofing windows would be the most effective way to do this. Comment: We are the second owner of a house built in 1962. It looks like the previous owner put in blown-in insulation at some point, but it's not new, and it's not nearly enough. Comment: Just moved into my home. Neighbor is hard of hearing and is blasting a TV through our walls. Looking for quotes for how much it might cost to open a wall or two, add extra insulation/sound proofing materials, and re-sheet-rock the wall. Arlington Insulation Contractors are rated 4.65 out of 5 based on 505 reviews of 13 pros. 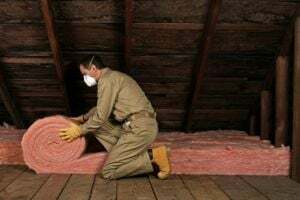 Not Looking for Insulation Contractors in Arlington, VA?